Grown without reliance on artificial chemicals and fertilisers. 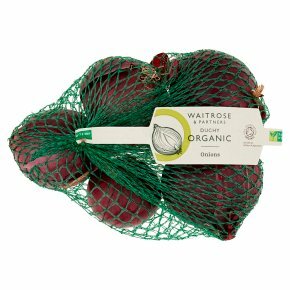 Good Food - Organic red onions, grown by specially selected farmers who share our commitment to quality. Delicious cut into wedges and roasted. Good Farming - Organic farming works with nature, using crop rotations and clover to build fertility in the soil.